Still, from World War II to the present, San Miniato has contributed its sangiovese and other grapes to the wines of many famous Florentine wineries. I went to explore the area with a couple who have a winery in this area, Leonardo Beconcini and Eva Bellagamba, who are partners both in life and in the wine business. On the way to their vineyards, a small sign hanging from a tree reminded me that were traveling along the medieval Via Francigena, the main connecting route between Northern Europe and Rome, traveled by thousands of pilgrims of every nation and language, for centuries. Today, it’s a sunny and almost-warm day in spring; all around us, Nature is just awakening. As I collect some of the shells, perfect in their tapered shapes, Leonardo tells me how he became a wine producer in San Miniato: “Nowadays it may seem obvious, but when I started to manage my father’s winery in the early 1990s, I made a choice to go against the tide. Instead of planting popular ‘international’ grapes like merlot, syrah and cabernet sauvignon—as people like me did in Tuscany, in those years—I decided to focus on a native variety, sangiovese. I began seeking out the oldest sangiovese vineyards in San Miniato. I looked for the most beautiful, healthy and most agronomically-suitable plants to be propagated and converted to quality production, in order to make wines for both medium and long aging”. Although sangiovese had been his main target, a few years later Leonardo also became interested in some other, minor local varieties. One of them in particular, intrigued him: there were some very old vines in his vineyards, which produced excellent grapes, but nobody knew what grape it was. This small historical mystery was finally solved by genetic science. In 2004, at the University of Milan, through DNA testing conducted by the eminent researcher Professor Attilio Scienza, the varietal of my grapes was authenticated: tempranillo. What? A Spanish variety? “Yes,” Leonardo confirms. “Remarkable, isn’t it?” Subsequent historical research took place in San Miniato. 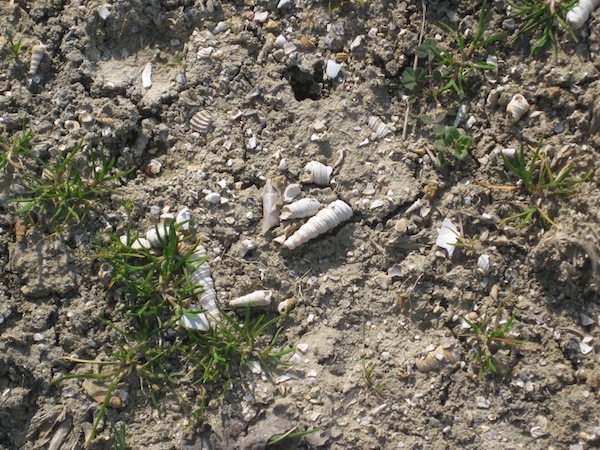 It leads to the hypothesis that these plants may have arrived in our area between the late 1600s and mid 1700s, brought by religious pilgrims on the Via Francigena.” Exciting! As we talk, we reach the winery. 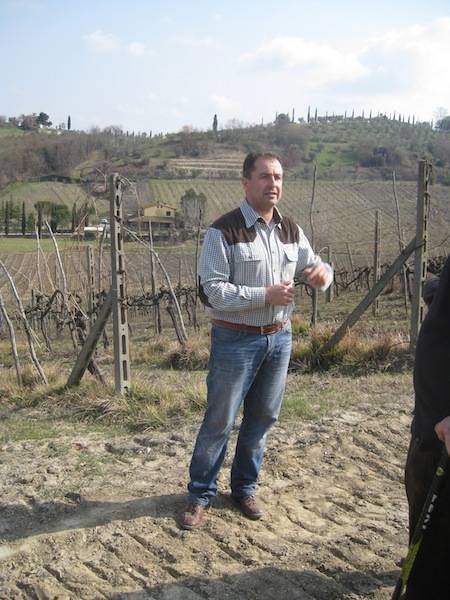 In the San Miniato region there is a small group of producers who formed a promotional association in 2007 called l’Associazione Vignaioli di San Miniato (The Association of Wine Growers and Producers), and Leonardo is their president. Now, I’m eager to taste their wines—which include the tempranillos, of course. The more traditional labels (“my father’s wines,” as Leonardo calls them) are those made with sangiovese and other local varieties like canaiolo, colorino, ciliegiolo, and malvasia nera – this last one a real revelation for me. We sample Chianti Reserve DOCG—so floral, so plummy on the nose and the palate, so Tuscan-style; then the Chianti DOCG Antiche Vie, matured only in cement vats, a very fresh, everyday wine. We move on to the more distinctive wines, which Leonardo calls “my most representative wines.” Reciso is a red Tuscany IGT cru wine made from sangiovese fermented in cement vats using only ambient yeasts, and then matured in wood. Maurleo, a red Tuscany IGT made with equal proportions of sangiovese and malvasia nero is a fruity, friendly, very drinkable wine. 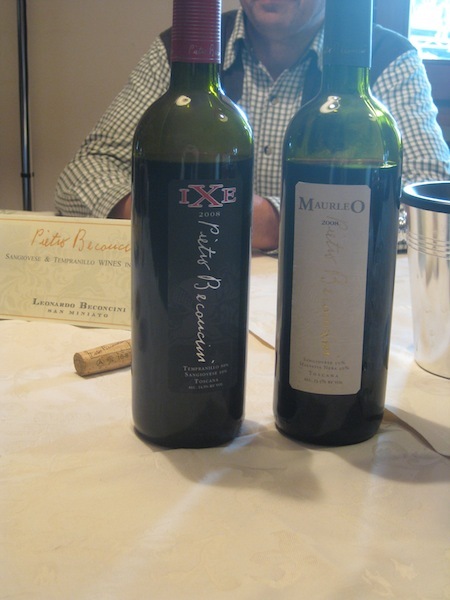 Ixe, another red Tuscany IGT, is the wine from those “unknown” grapes: the tempranillo in San Miniato vineyards was formerly indicated only by the letter “X.” Grapes are fermented in cement vats with ambient yeasts; the maturation is in wood for 14-15 months, in the same French and American oak barrels that were used the previous year to mature another wine, the Vigna alle Nicchie Tempranillo Tuscany IGT. 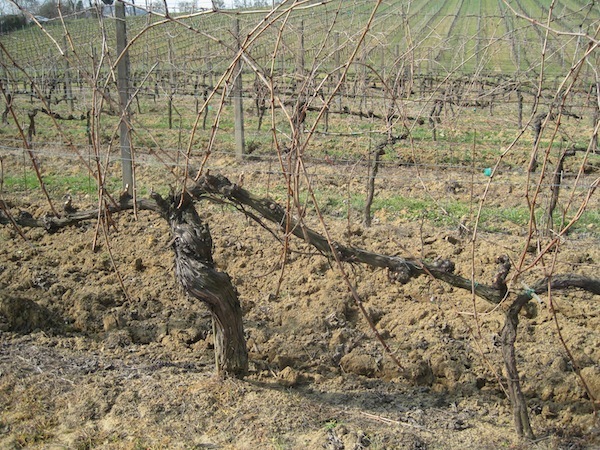 In that wine, bunches of the same grape are slightly dried for a few of weeks. In Ixe, the nose reveals sweet flavors of dark flowers and ripe red fruits, and there’s good acidity in the wine. 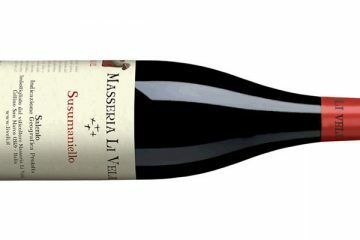 In the other (Vigna alle Nicchie) the short drying process smoothes the tannins, giving us a wine with a creamy taste, fruity and silky with a long and satisfying finish. 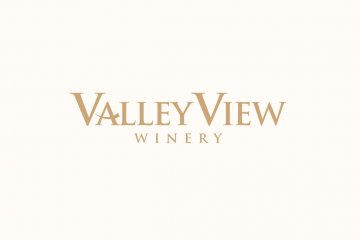 Nice article regarding wines deserving to be known. But the sea is not “hundreds” of Kms far from San Miniato… Just 50 (about). And it’s a pity there are no tasting impressions at all, not even a few lines, positive or negative, about the Reciso, that is the flag wine of the estate.